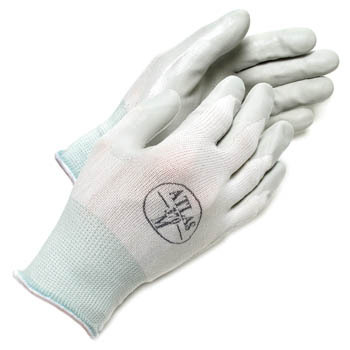 Nitrile palm coat provides maximum flexibility and outstanding grip and puncture resistance. Ideal for precise operations requiring maximum dexterity such as detailed assembly, inspection and small parts handling. Available Small, Medium and Large. Price per pair.